Rome On A Budget – 10 Experiences That Won’t Cost You Much! Rome is outright one of the most popular cities in the world, in terms of the number of foreign tourists and local visitors it receives. Home to some of the globe’s most historic and emblematic monuments, it comes as no surprise that over 9 million people flock to the Italian capital, year after year, to get a taste of this age-old city, steeped in culture and history. As a consequence of this worldwide adoration and fascination, Rome happens to be one of Europe’s most expensive cities to visit! Backpackers and budget travellers intentionally avoid this town altogether, but little do they know that there is a ton to do here, even with a few euros. 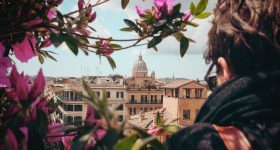 So if you’re interested in travelling to Rome and experiencing its magnificence without selling a kidney, then read on for we have curated a list of things you can do in Rome on a budget! If you're on a shoestring budget, here's all you can do in Rome without shelling out much or sometimes nothing! As mentioned above, Rome is known world over for its extensive collection of ancient buildings and monuments, like the Colosseum, St. Peter's Basilica, Roman Forum etc. The Pantheon is one as well, but for a reason not owing to its beauty, it remains somewhat lesser-known. This works in your favor as entry to this mesmerizing attraction is completely free! Once a Roman Temple (now a church), the Pantheon is one of Italy’s most breathtaking and spectacular sights, and holds the proud title of being Rome’s most well-preserved ancient building, partly because it has always been in use since its inception. The most notable feature of this structure is its daunting dome with the famous hole or oculus. An engineering and architectural marvel, the dome is a 142 ft. wide, making it the largest unsupported dome in the world (till today). An absolute thing of beauty, the Pantheon is a must-see on your next trip to Rome. Villa Borghese is one of the largest public parks in Rome and is the perfect place to relax, unwind and get away from the hustle and bustle of the tourist-ridden city centre. Apart from simply sitting down and admiring the beauty of the park (which is amazing), there are a number of activities to do and places to see! From checking out the Borghese Gallery to taking a refreshing stroll through the greenery, there is quite a bit to experience here. But perhaps the most relaxing and fun way to spend your time here is by boating across the Laghetto, a man made lake in the middle of the park. For only three euros, you can spend 20 minutes rowing through the canals and the lake, and enjoy the beauty of this enchanting park from the waters. An absolute perfect, romantic and inexpensive way to spend your time in Rome. A trip to Rome is truly incomplete without paying a visit to the famous Trevi Fountain. Perhaps one of the most cliched things to do is to throw a coin into the fountain, but hey - it’s fun and more importantly free (unless you count the coin of course). Legend has it that if you throw a coin into the fountain with your back facing the fountain, and with your right hand over your left shoulder, you are ensured a return to Rome. Pretty good for just a coin right? Another amazing sight to see is the esteemed Spanish Steps, between Piazza di Spagna and Piazza Trinità dei Monti. Built in 1723-25 by Francesco de Sanctis, the 174 steps were designed to connect the Spanish Embassy and the Trinità dei Monti church. By climbing up the steps, you get a chance to enjoy a wonderful view of Rome from the top. Piazza Navona is one of Rome’s most famous areas, and is usually bustling with street performers, artists and tourist during the evenings. A lively place to walk around and enjoy the happenings. Rome is a haven for art and history lovers, and the Vatican Museums celebrates exactly this. With over 70,000 works across 54 galleries, the Vatican Museum has much to see and admire. The museum houses a number of famous frescoes, mosaics, sculptures and paintings, including the likes of Raphael’s ‘School of Athens’, Michelangelo’s ‘The Last Judgement’, Da Vinci’s ‘St. Jerome’ and many, many others. If beauty and art is what you crave, this museum will satiate -all your senses beyond belief. Although it costs about 17 Euros to visit the museum, on the last Sunday of every month, entry is completely free for everyone! Make sure you plan your time accordingly so that you can take advantage of this and walk through one of the greatest museums in the world for free. The Campo de' Fiori is one of the most lively areas in Rome and has been so since 1869. Every morning (apart from Sundays), this area houses a market where you can find carts and vendors selling everything from fruits and vegetables to meat, poultry and fresh fish. All of Rome’s freshest ingredients come from this very market and if you’re looking to purchase any Roman specialties like artichokes, this is the place to go. During the evenings, a lot of locals and tourist alike spend their time chilling in one of the many cafes, bars, bakeries and restaurants here. Take a ride through Rome’s earliest and most strategically important roadways - The Appian Way. This ancient road connected Rome to Capua, near Naples, and was soon extended to connect the capital to Brindisi, making it the longest road in existence at the time (312 BC)! For this reason, it was popularly called the ‘Queen of Roads’. The Appian Way was built mainly for military reasons and was a massive boon to the Roman army. Today, this historic road, made of large, flat stones, remains well-preserved and makes for a beautiful path to cycle and walk on. Take in the natural beauty all around you as you ride past the scenic and eye catching Italian Countryside. If there is one monument that is synonymous with Rome, it is St. Peter’s Basilica. This goliath structure is the most important church in all of Christendom and architecturally, one of the greatest buildings in the world. Designed by some of the most gifted architects and artists in the world, the Basilica is truly a sight to behold. The Basilica is open to all, and there is no charge to enter, making it a perfect attraction to add to your list of places to visit. 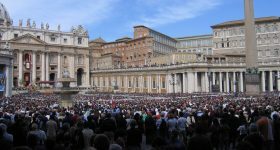 Adjoining the Basilica is the famous St. Peter’s Square, a large plaza designed by Lorenzo Bernini. Both the Basilica and the Square are named after Saint Peter, an apostle of Jesus considered to be the first ever Pope. Spend your time gazing at the cathedral or marvelling at the many statues that adorn it, or simply stand and take in the magnitude and history of where you are, but whatever you do, don’t miss it. Another free and fun activity you can do in Rome is visiting the Mouth of Truth and testing your integrity in its wake. The Mouth of Truth is essentially an enormous marble sculpture of Oceanus, the God of the Sea. Legend has it that the mask bites the hand of those who lied (a ancient lie-detector if you will). No one knows exactly when or why this disk was created, or who it is supposed to even represent. Some believed it was used an ornamental well cover while others believed that it was a piece of fountain decoration! The sculpture was originally located in the Piazza della Bocca della Verita. It was then (1632) shifted to the Santa Maria in Cosmedin, where it still stands today. Do you think you’ll still have your hand after paying the Mouth of Truth a visit? For all those interested in modern and contemporary art, Rome has something for you as well! In the Quadraro Vecchio neighbourhood of the city, you will find art on the walls in the form of murals and graffiti, done by some of the most renowned contemporary artists and painters in the world including Jim Avignon, Ron English, Zelda Bomba and Beau Stanton. Stroll through the areas of Quadraro and Torpignattara, and you will find some of the most striking works of art you have ever seen painted right on the walls. Considered the brainchild of David Diavù Vecchiato, MURo is the first project of a museum integrated into the social fabric of Rome and it is a concept to be heralded. It won’t be long before you see all the walls in Rome covered in paint! And the best part? Since it’s open air and on the streets, it’s absolutely free! The Jewish Ghetto is one of the most atmospheric, charming and picturesque neighbourhoods in all of Rome. Established in 1555, this area is the oldest Jewish Settlement in all of Europe and is the spiritual and cultural home of Jews in Rome, maybe even Italy. Away from all the tourist attractions and hubbub of the city centre, this area is more peaceful and relaxed, and makes for a perfect place to take a stroll and enjoy the air. The Ghetto has a number of cozy cafes, vintage cloth shops and lovely trattorias, where you can just sit and relax. There are also a couple of noteworthy attractions including Teatro Marcello, The Great Synagogue, Jewish Museum of Rome and The Fontane delle Tartarughe to name a few. 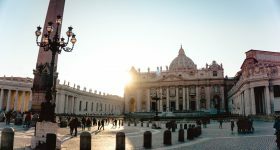 If you're traveling through Rome on a shoestring budget, here are a few discounted tickets that will help you save a few extra euros! Here are a few discounts and offers that will help you plan Rome on a budget! *Use promo code to avail discount. 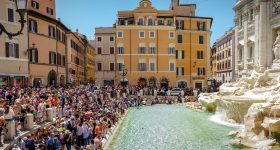 Now that sightseeing in Rome on a budget is taken care of, here are a few more ways to save money on your Rome vacation. Make these your holy grail and you won't be lamenting by the end of your trip! Plan your trip during the shoulder season - Try planning your trip to Rome during the low tourist season (between November - March). During the low season, the prices for accommodation and transport are reduced drastically, ensuring that you do not have to spend too much on these. Purchase tickets online - For all the attractions and monuments you want to visit, make sure you purchase your tickets online! Most of these places of interest usually tie up with 3rd party companies to sell their tickets online, and more often than not, they sell them at a discount. Take advantage of this and buy your tickets on the internet. Sit at the Bar - Whenever you go to a Trattoria or a restaurant for a meal, try sitting down at the bar. In Italy, it is common practise for restaurants to charge a table price. This is essentially a premium you are paying for the privilege of sitting at a table. You can avoid this altogether by simply sitting at the bar and having your food and drinks there. Roma Pass - Do yourself a massive favour and purchase a Roma Pass. This is essentially a sightseeing pass that allows you free access to up to 2 landmarks in the city, discounted admission at other major attractions and unlimited free usage of the city's public transport system. It is absolutely perfect for a traveller on a budget. Eat Cheap - When in Rome, avoid all the big, fancy touristy restaurants and head to the local Trattorias and cafes for your food! One of the best neighbourhoods to get good and inexpensive food is Trastevere. Here you will find a ton of small restaurants and eateries where you can gorge on delicious Italian food, without burning a hole in your pocket. Drink water from the taps - Save a couple of euros and drink water straight from the taps in Rome! The tap water here is completely safe to drink, so carry a bottle with you and refill wherever you can. Exercise your legs - To fully enjoy the fact that you’re in Rome, ditch the public transport and travel around on foot! The monuments and attractions in the city centre are fairly close to one another so you can simply walk from one place to another without straining yourself. Also, when you walk you will find a ton of small, little surprises here and there. Couchsurf - To save on your biggest expense while travelling - accommodation, skip the hotels and try couchsurfing! It is a great way to meet new people, and more importantly it's free. Save on taxes - Planning on some shopping in Rome? Here’s something you should know - you can get upto 11-13% off your purchases above 155€ or more, if you are not an EU citizen. Just make sure that the place you shop at is part of the tax-refund program (most of the shops are). Use this tool to plan and estimate the budget for your Rome trip before you go! Ready To Visit Rome on a budget? Here are a few detailed guides that will help you plan your Rome vacation better! Save €6 on your first booking with Headout when you use promo code GOROME!